There can be few more anticipated anniversaries in a certain part of England than that of the death of the ancient warrior queen, Lady Aethelflaed. And the town of Tamworth in Staffordshire, where she ruled prior to her death exactly 1,100 years ago, is to celebrate the milestone in style with a programme of major events planned during the course of this year. Lady Aethelflaed, also known by the Victorian spelling of Ethelfleda, was the daughter of King Alfred the Great who went on to become a key figure in the history and making of England. She ruled the ancient kingdom of Mercia, which covers large parts of modern day central England, with her husband Aethelred (also known as Ethelred) and together they led the battle to defeat the Viking invaders who had conquered most of the country. 2018 promises to be a very special year in Tamworth as it marks 1,100 years since the death of Aethelflaed, also known as the 'Lady of the Mercians' who was one of the most powerful and influential women in Anglo-Saxon England prior to her death on 12 June 918 in Tamworth – the capital of Mercia - before she was finally laid to rest in St Oswald's Priory in Gloucester alongside her husband Aethelred. Alongside her brother, Edward the Elder, Aethelflaed launched a series of military campaigns in the 10th century which brought large parts of England under Anglo-Saxon control. At the same time, the siblings embarked on a major programme of building and fortification, creating defensive and strategic burhs (fortified towns) throughout Mercia, and including Tamworth. 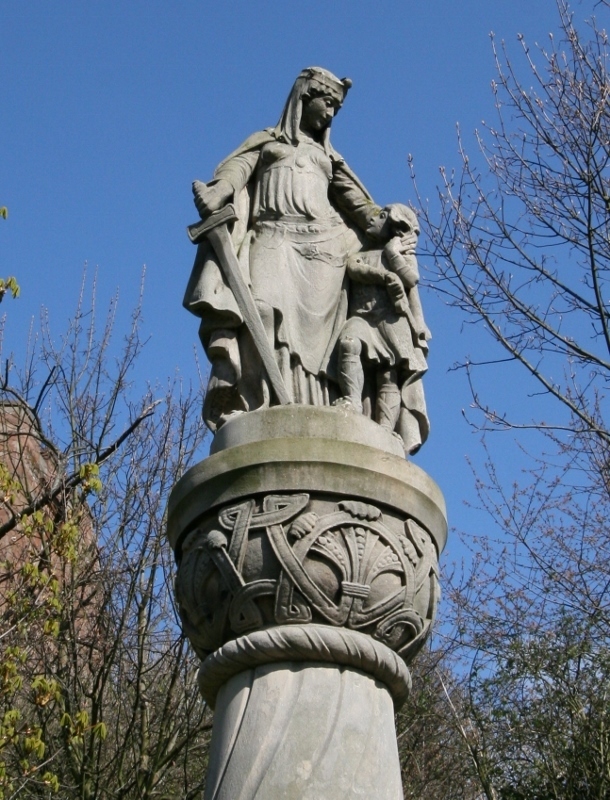 After her husband's death in 911, Aethelflaed became the sole ruler of Mercia and continued her campaign to further defend and expand her kingdom. She was a formidable warrior and was thought of as 'queen' by many of her subjects. She leaves a legacy as one of the most powerful female rulers of the time. The anniversary of the death of Aethelflaed will be marked throughout the year in Tamworth with a number of major events, including the unveiling of a new six-metre statue, the creation of the town's biggest ever piece of community art, a major commemorative church service, talks, a special guided walk, a commemorative ale and an academic conference weekend drawing academics and delegates from all over the world, including the US and Canada. Scholars from UK and international universities will descend upon Tamworth for the conference between July 13 and 15 for a packed programme of lectures, exploring themes such as women and political power in early medieval Britain, the re-making of Mercian rulership, and the uncontested succession of Aethelflaed's daughter as an exceptional example of female succession. There will also be a photographic exhibition on Mercian landscapes, accompanied by a lecture about Anglo-Saxon influences on modern authors such as J.R.R Tolkien. 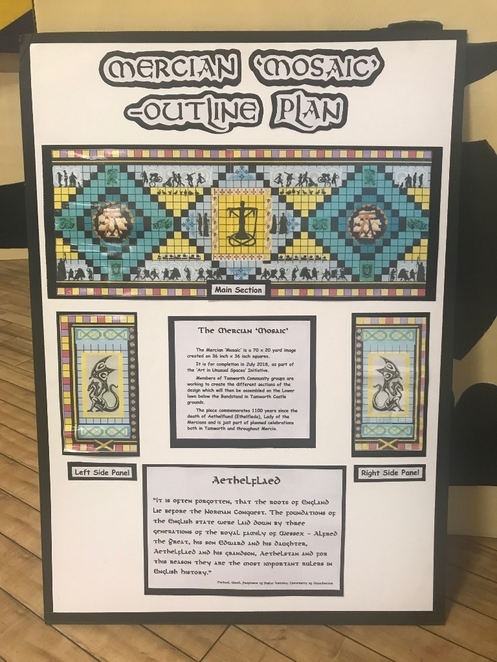 A range of other events are being planned for the conference weekend, including the unveiling of the Mercian Mosaic on Saturday 14 July. 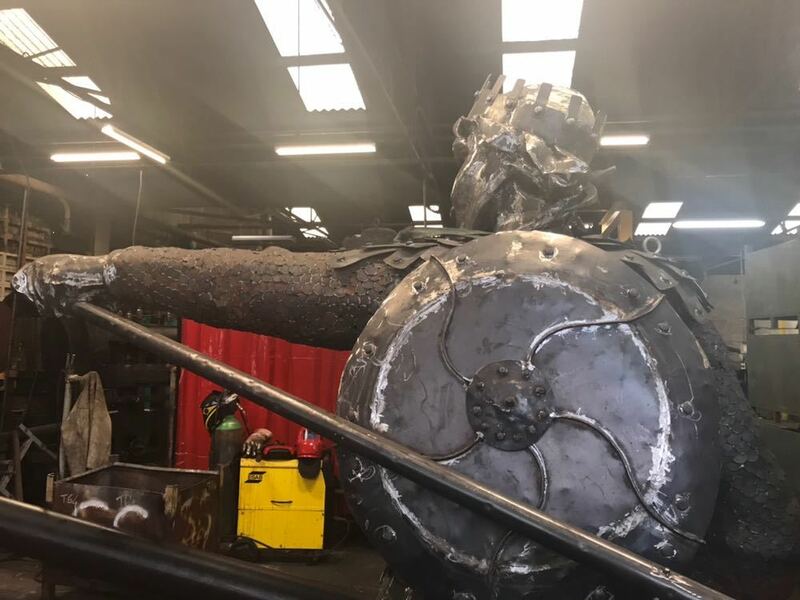 This huge and ambitious community project by Tamworth Borough Council's Arts and Events team is part of the Arts in Unusual Spaces project funded by Arts Council England. Artist Maggie Carney has designed the mosaic which is made up of 1,400 individual square yard tiles which are being decorated by hundreds of volunteers from schools, arts and community groups, and sheltered housing schemes across the town. They will be brought together for the first time on July 14 when the pieces will be laid on the lower lawn of the Castle Grounds. The Anglo-Saxon-themed design features Aethelflaed at its centre. Organisers of Tamworth Literary Festival have also planned a special talk on July 14 which will see a panel of female historians and authors discussing Aethelflaed as a woman and an Anglo-Saxon. The talk is from 11am to 3pm, with tickets costing £10 including a buffet lunch. The Festival itself, which runs from March 2-10, includes an opening talk from archaeologist, writer and broadcaster Martin Carver on 'Aethelflaed and the Origins of Stafford'. It takes place at 7pm on Friday 2 March at St Editha's Church. Another key event in the celebrations of Aethelflaed's life will be the much-anticipated unveiling of a new six-metre tall statue which is in the final stages of construction by artist and sculptor Luke Perry. 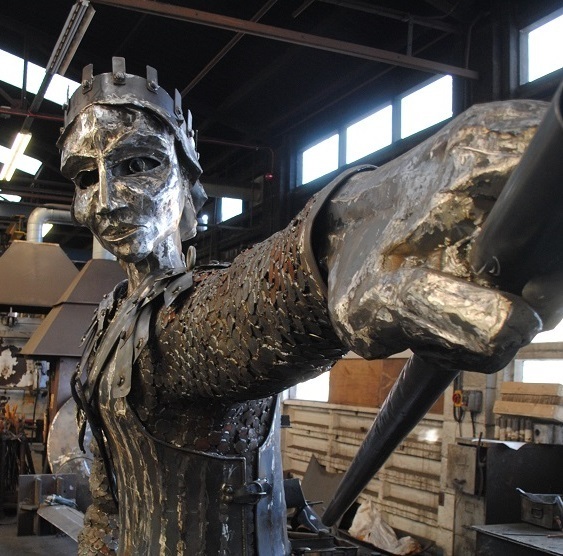 The statue of Lady Aethelflaed is due to be installed on the roundabout outside Tamworth Railway Station later this year. In addition, Tamworth and District Civic Society is organising a major commemorative service at St Editha's Church to mark the actual anniversary of Aethelflaed's death on June 12. The society's second annual The Tamworth Lecture later this year is also on the topic of Aethelflaed. Other events in the planning include a special walking tour in the summer, put together by the Tamworth Guild of Town Guides, which will focus on the town's Anglo-Saxon and Norman heritage. A special themed beer festival is also being explored, while George Greenaway of Tamworth Brewing Co plans to revive his award-winning Aethelflaed Ale. Further details will be revealed as they become available in the coming months. Councillor Rob Pritchard, Deputy Leader of Tamworth Borough Council, said: "Tamworth has a very rich heritage and was incredibly important as the capital of the ancient kingdom of Mercia. Aethelflaed is key to that history, not only for Tamworth, but in the creation of a united England as we know it today. 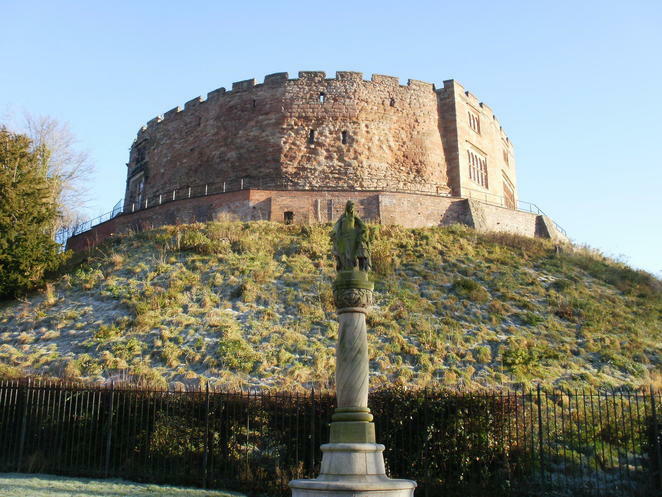 The fact that respected academics and scholars from around the world have chosen Tamworth as the location for a weekend conference to discuss Aethelflaed and her role as a female ruler is testament to the significance of the 'warrior queen' and our town. The anniversary of Aethelflaed provides an opportunity to celebrate and shout about our Anglo-Saxon history and a number of events have been planned to mark the occasion and raise the town's profile. We are already working with representatives from organisations including The Tamworth and District Civic Society, Tamworth Castle, Tamworth Heritage Trust, Tamworth Guild of Town Guides and St Editha's Church, and it would be great to see other businesses and community groups getting on board with their own themed celebrations and promotions."